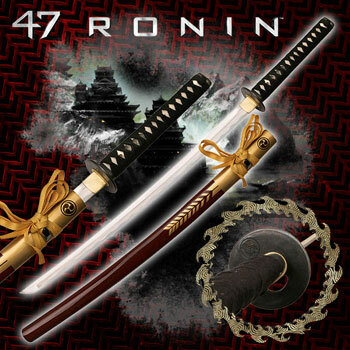 47 Ronin Movie Swords for sale include the Asano Clan, Oishi Clan and Tengu sword. 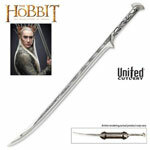 These limited edition swords are limited to only 2000 pieces worldwide. 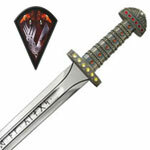 Buy these officially licensed movie swords from 47 Ronin before they are sold out. 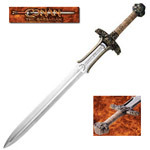 47 Ronin Movie Swords for sale are 42 ½ inches in all. 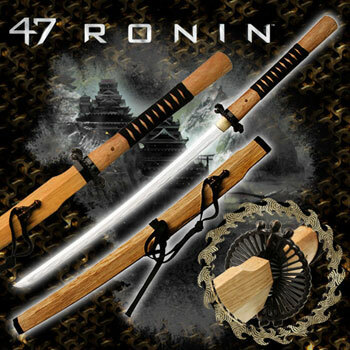 These officially licensed Asano Clan Samurai Swords are from the movie 47 Ronin starring Keanu Reeves. 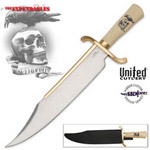 This limited edition samurai sword is one of only 2,000 made and features a hand forged sharpened 28 inch blade. 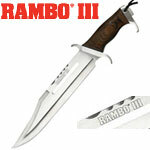 The 1045 carbon steel blade is 7mm thick and features a real hamon. The 10 ¾ inch handle features a traditional Japanese black cord wrap over real ray skin. 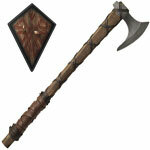 The burgundy wooden scabbard has black cord and a black splatter finish. 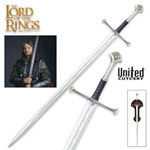 These swords include a black storage bag and include a certificate of authenticity. 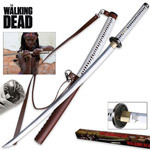 Buy the officially licensed 47 Ronin Movie Asano Clan Swords for $149.99. 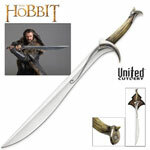 47 Ronin Movie Swords for sale are 42 ½ inches in all. 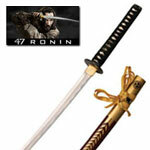 These officially licensed Oishi Clan Samurai Swords are limited edition swords from the movie 47 Ronin. 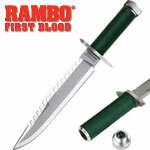 This samurai sword is one of only 2,000 manufactured and features a hand forged sharpened 28 inch blade. 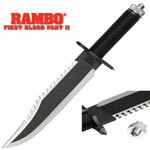 The 1045 carbon steel blade is 7mm thick and features a real hamon. The 10 ¾ inch handle features a traditional Japanese black cord wrap over real ray skin. 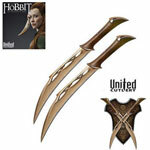 The burgundy wooden scabbard has gold cord and features gold designs. They include a cotton storage bag and include a certificate of authenticity. 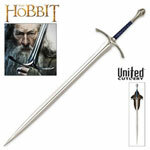 Buy the officially licensed, limited edition 47 Ronin Movie Oishi Clan Swords for $159.99. 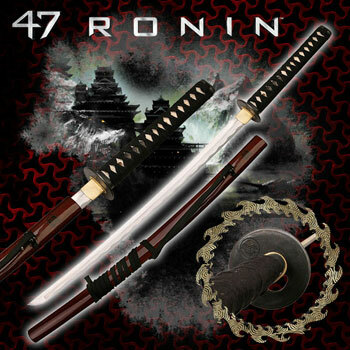 Tengu Swords for sale are from the 47 Ronin Movie. 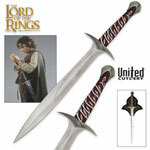 These officially licensed Tengu Swords are 43 ¾ inches in all and they are one of only 2,000 swords made. 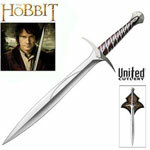 They feature a hand forged and sharpened 28 inch blade. 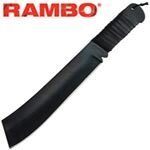 The 1045 carbon steel blade is 7mm thick and features a real hamon. 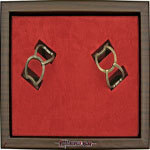 The bronze metal Tsuba features a dragon claw design. The 13 ¾ inch handle features a traditional Japanese black cord wrap over natural wood. 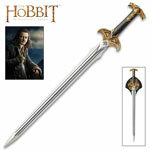 The wooden scabbard features a shoulder strap. They include a cotton storage bag and include a certificate of authenticity. 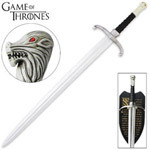 Buy the officially licensed, limited edition 47 Ronin Movie Tengu Clan Swords for $189.99.